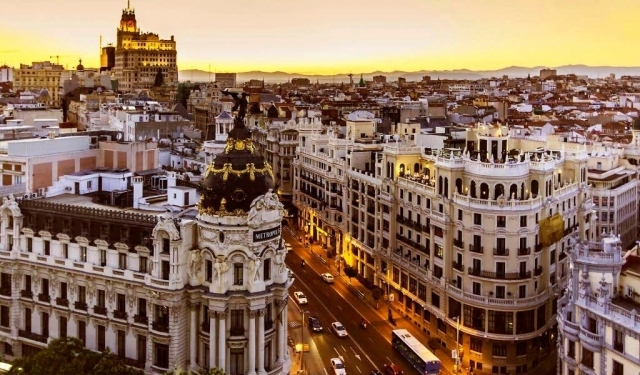 Where to get the credential for the Camino de Santiago in Madrid? The credential is an essential object for pilgrims who want to travel the Camino de Santiago lodging in hostels and in this article we will tell you how you can get the credential in Madrid before embarking on your pilgrimage. The credential is a document in which the hospitaleros of the different shelters of the Camino de Santiago will place a stamp to prove our passage, and it is necessary to show it to be able to access a bed (although in no case guarantees this, since it is subject to availability). In order not to give rise to confusion, it is important to make it clear that the pilgrim's credential is not the same as the compostela, which is a certificate granted in the Cathedral of Santiago to pilgrims who have traveled more than 100 km established at least to obtain it . 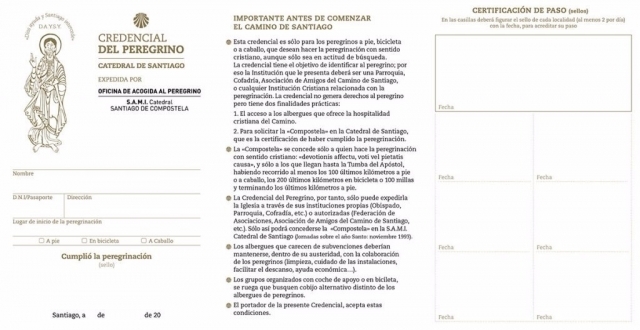 The relationship between both documents is that the pilgrim needs to have sealed the credential in order to request the compostela. This pilgrim's credential can be obtained in a general way through different routes: going to one of the Associations of Friends of the Camino de Santiago that are distributed throughout Spain (and other countries), acquiring it at the beginning of your Way of St. James in the points (Sarria, Roncesvalles, León, Burgos, Astorga) or in some emblematic places, such as the Parish of Santiago and San Juan Bautista de Madrid, which we will detail later. The only difference that we make with it in one or another place is that if we move to our starting point of the Road without the credential we run the risk of being exhausted if there is much influx of pilgrims in the area. For this reason it is not too close to one of the associations closest to your place of residence and buy it there; We can also take advantage of information and advice on preparing for the Camino de Santiago. In the specific case of the Community of Madrid, pilgrims will have the option of approaching the Association of Friends of the Pilgrims of Santiago de Madrid (C / Carretas 14, 6, C-2). There we can have a credential for our pilgrimage at the cost of 2 € that will be delivered in person to the pilgrim or a representative, who must provide a document of identification of the person represented. This credential is an official model distributed and accepted by the Office of Pilgrimages of the Diocese of Santiago that you can see above and is valid whether you are going to do the Camino de Santiago from Madrid, the French Way or any other route. In Madrid you can also get your pilgrim's credential to make the Camino de Santiago near the sacristy of the Parish of Santiago and San Juan Bautista, located in the center of the city (Plaza de Santiago 24). In the parish do not charge for the credential, but it is recommended to leave a donation as a sign of gratitude. Open to the public every day from 10:00 a.m. to 1:00 p.m. and from 6:00 a.m. to 8:00 p.m.